Belthangady, Feb 24.2015: Two persons lost their lives in a tragic mishap involving two two-wheelers at Maddadka near Guruvayanakere on February 23, Monday night. The deceased are Manohar (40), and Joel Stephen said to be a student of SDM College, Ujire. The mishap occurred at around 11.30 pm wherein two motor bikes collided head on resulting in the death of the two riders. 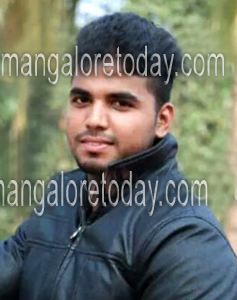 Manohar was killed instantly while Joel breathed his last at a hospital in Mangaluru on February 24, Tuesday morning. Belthangady police have registered a case.